In a way, it is unfortunate that there is no farming “crisis.” Crises force themselves upon us and demand redress. Our agricultural situation is something different: Every five years Congress passes a farm bill that sets new rules and infuses new subsidies to keep the agricultural economy chugging along, and these fixes work well enough for us to forget that farm families and the land itself are left in the lurch. The farm bill just passed and signed into law by President Trump is a mixed bag; it contains some provisions of real value and others that do more harm than good. Network, the Catholic social justice lobby, and others praised its protection of food stamps, though the Trump administration has vowed to impose work requirements for food stamp recipients that had been removed from the bill. The bigger problem is that from a long-term perspective, this law carries us deeper into social and ecological debts that have been growing for several decades. Eventually, the payment will come due. This new bill continues to artificially maintain a marketplace that overproduces commodity crops like corn and soybeans. 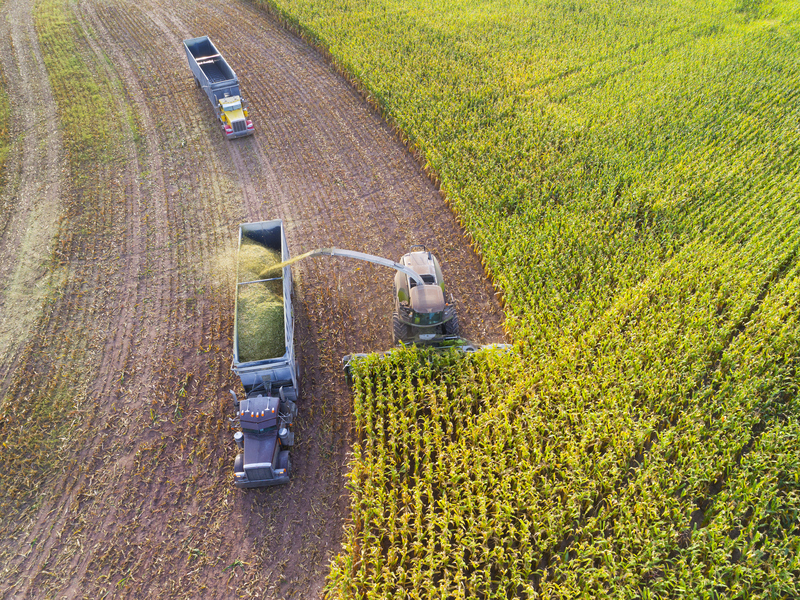 This new bill continues to direct subsidies to large corporate farming operations, artificially maintaining a marketplace that overproduces commodity crops like corn and soybeans. This drives down prices so that it becomes very difficult for small farmers to turn a profit. The subsidies also encourage irresponsible use of the land by rewarding mono-crop farming that depletes the soil, increases erosion and pollutes waterways (by way of the fertilizers and pesticides needed to maintain these types of farms). Discuss politics with other America readers. We have gotten used to these subsidies, but that does not make them right or inevitable. The latest farm bill adds to the problem by granting subsidies to extended family members. This has the effect of funneling government funds to people who have a financial stake in a farming business but may never actually set foot on a farm. These five-year bills are, in some measure, part of a vicious cycle in which the largest operations can afford to influence the lawmaking in their favor and thus can maintain the power to shape the agricultural economy to their benefit. Again, this is not a crisis. It is true that farmers are working more and more hours for ever-diminishing returns, rural communities are hollowing out, and young people are staying away or are being boxed out from agriculture. It is also the case that farmers—exhausted, cash-strapped and with communal supports knocked out from under them—are experiencing a remarkable rise in instances of mental illness and suicide. In a great number of places, the rivers continue to grow more polluted, the soil is being depleted, and biological diversity is disappearing. Nonetheless, it is not a crisis, because food shows up with a wonderful regularity on our store shelves and on our plates, and most of us are well and happily fed. It is a fine thing to be so secure in our food. But if our patterns of production and consumption mean that we are squeezing every last drop out of the farm families and farmland only to discard them, then our priorities have become seriously, dangerously out of order. Pope Francis, like his predecessor, has recognized that the ecological and social problems in agriculture share the same root: a failure to recognize limits. The drive for profit, while not bad in itself, must be disciplined by other considerations and respect for other goods. The family, the community and the land are not utilitarian abstractions used in the calculations of a corporate farm; they are goods with their own value, above and apart from economic exchange, and they are worth protecting in their own right. The subsidies also encourage irresponsible use of the land by rewarding mono-crop farming that depletes the soil, increases erosion and pollutes waterways. “The book of nature is one and indivisible,” Benedict XVI wrote. The human person and nature are part of one integral ecology, and what affects one will affect the other. In “Laudato Si’,” Pope Francis wrote that “caring for ecosystems demands far-sightedness, since no one looking for quick and easy profit is truly interested in their preservation.” A realistic far-sightedness about the health of the land and food security was behind the effort of Wendell Berry and members of the Kansas-based Land Institute to promote a 50-year farm bill in 2009. Less a formal legislative proposal than an effort to encourage lawmakers to consider a broad framework, it is a thoroughly researched plan for gradual progress, scientifically and economically feasible, toward an agricultural economy that conserves the resources on which it depends. Their proposals include technical ideas in agronomy and legislative proposals to encourage sustainable practices. But the most important thing about the idea is that it broadens our perspective. In considering the agricultural economy in 50 years’ time, we are forced to recognize a greater responsibility and a wider set of values than the preservation of the status quo with a nod here and there to social and environmental sustainability. The ecological solutions are bound up with solutions to a system that likewise overworks and exploits many of the workers who keep it going. This applies to farm families in the ways suggested above but also to migrant workers who undertake in back-breaking labor for corporate farms without benefits or decent pay. Pope John Paul II, who seemed to have a special love for farmers, emphasized again and again that the dignity of work exists insofar as it helps the person engaged in it to flourish. This means fair remuneration for labor, but it also means labor that suits a human being, which requires healthy conditions and a certain ownership of the thing produced. This is why the church has often encouraged agricultural cooperatives and similar arrangements. These respect the dignity of the worker, by giving them some ownership of and say in their work, and tend to encourage respect for the land, by keeping its management close to those who live and work with it. Whatever the practical arrangements, the church’s hope is that agriculture will respect the value of land and person and will produce profits only as it fits within the bounds of that ethical framework. This is not an ideological position; the church seeks to let prudence and ingenuity discover the best solutions and most adequate actors to carry those solutions out. Several encouraging state-level initiatives have gained steam in recent years: cost-share programs to encourage cover-crops (which retain nutrients in the soil and prevent erosion), laws promoting riparian buffers (which protect waterways from harmful chemicals) and state planting of prairie strips (which, among other things, sequester carbon and provide habitat to wildlife). Many private efforts to encourage sustainable farming have found success, too. May their tribe increase. To respond to the sorts of entrenched problems gestured at above, though, we will need to realize at all levels that the stakes are high—our farms are in the balance. We will need to internalize, too, that each of us is affected by, and in part responsible for, the current state of affairs because everybody eats. Rather than wait for the crisis, let us take the long view and get to work. This is a great article that should cause us all to pause and consider how we must approach all the working aspects of our lives. I doubt that it will gain traction, because we have become dependent upon governments to shape how we live and think. That leaves us with a dire prediction. "The family, the community and the land are not utilitarian abstractions...they are goods with their own value, above and apart from economic exchange, and they are worth protecting in their own right." The “economic man” (and woman), as depicted in economic theory, is hard to imagine, if imagination involves attributing all of the human gifts that our experience presents to us in terms of body, spirit, personality, and intelligence. Open any paper dealing with Labor Economics and a prominent concept that is presented is labor as a factor of production. This is not to say that other business academic fields depict labor as such a theoretically constrained concept. Management science, organizational behavior, marketing and human resource fields study humans as somewhat more fully developed, if still facet-limited, constructs, but not always as actual persons. This economically influenced set of constraints regarding the role of persons in society has had significant influence on governance practices. The rise of Economics as an influential component of the philosophy of governance is not solely a modern phenomenon. The social science received an enormous boost from the Enlightenment, and probably achieved its current perch atop the hierarchy of governance values from the Industrial Revolution. ‘ratios,” sometimes determine the rise or fall of entire governing regimes. But these measures and models, even judged by their academic originators, are meant to provide insight to conditions only on average over large populations and over long periods of time (the long run, as they say). The consequence of enshrining economics as the core science of governance is that the tendency of contending parties to idealize their core principles inevitably results in the formation and propagation of an ideology. If the suffix “ism” is typically attached to the name of an ideology, one can say that the core ideology of most parties is some form of “economism.” And a characteristic of all ideologies is that the tenets are impervious to critical analysis and to the application of counter-indicating facts. Alternative conclusions from commonly available evidence are regarded as hostile attacks and the attackers cannot be countenanced. When, in pursuit of economic objectives, strategies employing innovations in technology or other productivity improvement techniques disrupt human lives, economism seems to hold that these effects are insignificant on average and over the long term. This condition, in governance by economism, is not considered to be a problem requiring urgent solution. Government, certainly, has limited responsibility under economism to aid societal transition during periods of disruption. But outside the impervious ideological shell of economistic governance, free people in democracies have managed to improve their own lot. Highly technological German industrial populations have formed and maintained apprenticeship programs in their unions that help members to make themselves ready, and consequently essential, to some of the most innovative companies in the world. During the Great Depression, in the U.S., skilled trade unions contracted with high school and junior college administrations in some states where unions were prominent institutions, to teach evening classes not only to union apprentices, but also to journeymen members who needed to acquire advanced skills in electrical equipment, construction machinery, and other essential subjects. Enlightened business managements have also, in some instances, incorporated education and training into their routine employee development programs, especially when new technologies are introduced. There is no reason that we as a population should tolerate the whining of business leaders and politicians about the shortcomings of our educational systems in preparing workers for jobs that are technologically more challenging than jobs that are obsolescent. There is no reason that we as a population should buy into the flawed ideology of economism as a dominant form of governance. Most people acknowledge the prominence of economic factors as motivators of individual effort and creativity. But, commonly acknowledged or not, transcendental ends never seem to be too far from the consciousness of humans, as the history of human literature, art, philosophy, science and theology, for example, makes clear. The unsurprising outcome of this tradition is a formulation of an anthropology widely accepted that “economic man” would not completely satisfy. But it is this anthropology that forms of governance must serve, not the “economic man” anthropology. Not to detract from or overstretch Mr. Erlinger's insightful comments, a case in point might well be found in the history of U.S. rationales for supporting "development" initiatives, especially in Latin America and other parts of the Third World. Neoclassical versions of economic development are based on efficiencies whose intent is to minimize human labor as a factor of production. The measure of thumb would usually be the less labor, the greater the efficiency. This reasoning has led to generations of isolating work from social life. One telling impact on developing societies has been the introduction of multi-national extractive industrial activity, justified usually as a force for development and modernization. But, as analysts like Baran, Samir Amin, and other dependency theorists, particularly from Latin America, have argued, the effects have been socially and politically deleterious. In the extreme, interventions by US authorities over the past century have not always been "soft" development projects. They have been buttressed by "gunboat diplomacy" and outright invasions, the fruits of which we see today at our southern border. When "economic man" is divorced from the context into which he/she is born and raised, displacement and violent repression results.